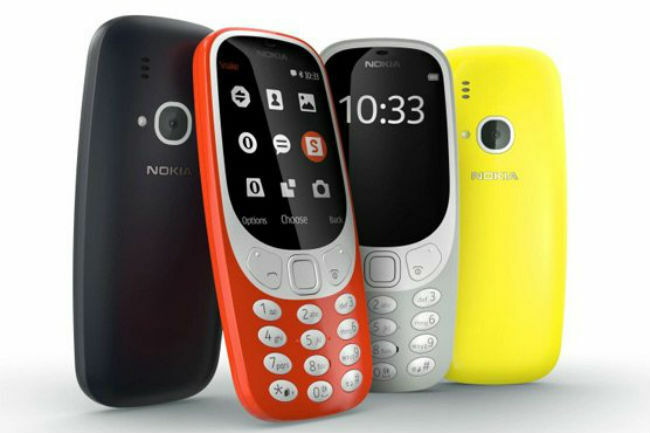 The Nokia 3310 is back and so is the iconic mobile game, Snake. Here's a look back at the history of Snake. 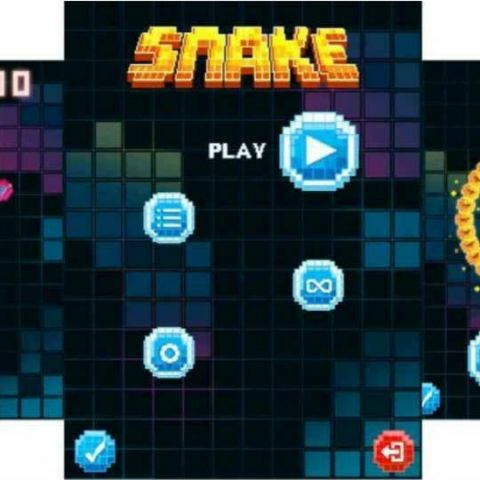 The iconic mobile game Snake is back. At its press conference at MWC 2017, yesterday, Nokia made a special mention of the game, which will reside within its new 3310 handset. Interestingly, if you trace back Nokia’s demise in the mobile market, a lot of the company’s downfall coincides with what it did with the game Snake. From the black and white versions, to the psychedelic version on its Symbian OS, the quality of Snake went down in tandem with Nokia’s Symbian and other systems. Of course, its collaboration with Microsoft was the final nail in the coffin. Nevertheless, Nokia is back and so is Snake. So, it makes sense to take a look back at where the game originated and how it evolved. At its roots, Snake borrows from a 1976 arcade game, called Blockade. Distinctly similar to Snake, the game was designed for two players and couldn’t be played alone. In it, both the players would navigate their own snakes, leaving a solid line behind them. The line itself becomes a blockade for you, and the player who lasts longer on the board, wins. Trying to play this game alone would be impossible, since the second player’s snake would simply ram into a wall, ending the session. The primary difference between Snake and Blockade is that you could play Snake, alone. Of course, collecting the small dots on the board was also added later. The British company, Gremlin Interactive, which created Blockade, shut down in 1984. Fast forwarding by a couple of decades, in 1997, Nokia put Snake on a phone called the Nokia 6110. Yes, the phone your father used for work purposes and you did, for playing Snake. This was the beginning of Snake in your pocket, the game almost went viral, signalling a new era in mobile phone gaming. What started in 1997, reached viral status in the year 2000, with the launch of the Nokia 3310. One of the best selling mobile phones of all time, the Nokia sold 126 million units of this device in that year. Residing within the device, was Snake, the game that quickly became a household name in India and the world alike. But this wasn’t the Snake we then knew. Snake 2, the game loaded on the original Nokia 3310, gave the Snake an actual snake-like form, while adding bonuses you could pick up while playing. The playing field or the board, also became cyclical, meaning you could go in through one side and appear from the other. Lastly, mazes were added, to make the game even more challenging. From thereon, Snake became an important part of mobile gaming history. The game was addictive and appropriate for people of all ages. It was like the Game of Life, but for the mobile phone user. Nokia went on to evolve Snake, and some would argue, ruin it. If you owned a Nokia 1600, you would remember Snake Xenzia, which was similar to Snake 2, but meant for monochrome displays. The first real improvement in graphics came with a game called Snake EX, which kept all the key features of Snake 2, but with improved graphics. You got a top-down view of a green snake eating bugs, while you navigate the thing around. The snake could even open its mouth when eating now. Things were fine till this point, when Nokia came up with its failed n-Gage platform. With it, the company decided to continue making Snake a part of its game offerings. However, many would argue that Snakes, the game meant for the n-Gage platform was the downfall of Snake. Made in 3D, you now got a third person view of the Snake, following behind it at is it ate psychedelic looking bugs, in a psychedelic world. While Snakes was still addictive, for many, it just didn’t live up to what they were used to from the iconic game. Nokia made a new version to this, later, called Snake Subsonic, but that didn’t make much of a difference either. Snakes was pre-loaded on the Nokia N70, N73 and N80 smartphones. Nokia’s other phones were also improving around this time, with the company going gung-ho on its Symbian platform. So, in between Snakes and Snake Subsonic, Nokia had another 3D version of the game, called Snake III. For all intents and purposes, this was an evolved version of Snake EX. It put the Snake on a lush green field, surrounded by walls. You still got a top down view, but were much nearer to the Snake, which now resembled Kaa from The Jungle Book. Snake Subsonic was launched in 2008, which is also the year the HTC Dream was launched. The world’s first Android smartphone and the budding Android ecosystem eventually took the game away from Nokia, which in turn joined hands with Microsoft to create Windows phones. The rest, as they say...is history. Nokia’s first Windows-powered smartphone, the Lumia 800, was announced in 2011 and the company continued this endeavour till 2013, when its mobile business was sold to the Windows maker. The deal-closed in 2014 barred Nokia from entering the mobile business again, for one year, and it was only yesterday, at MWC 2017, that the company announced its full-fledged return, with three new smartphones, a new Nokia 3310 and Snake. How to recover deleted text history on iPhone 4s ? How can i read the computer history on my computer? Suggest A laptop within a range of 70k INR.